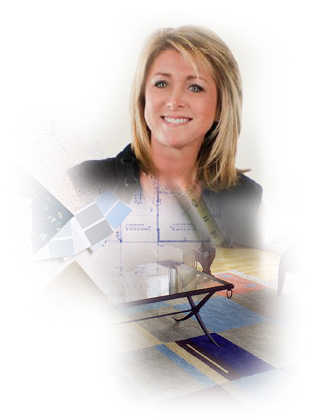 Lauren will meet with you in your home were she will ask questions and carefully listen to the answers in order to find out about your design and space needs. By doing this she will able to listen to your ideas and observe your lifestyle, which will then be reflected throughout your project. These structures will be individually tweened. The beginning stage of each project is critical to the outcome, therefore, Lauren associates closely with her clients until the design direction is clear. She then sets out, utilizing her years of experience and up to date knowledge in making selections that are appropriate to both her clients vision and their project. Lauren continues to present selections and choices to her clients, engaging them in the full outcome of their home, until all aspects are just as her clients dreamed they would be. It is from here that she creates environments that are just right for her clients; interiors that are harmonious, inviting and artistically alive. Once the design is approved, furnishings and materials are ordered and all painting, construction and other work is scheduled. We oversee the entire process to insure that the projects development is on schedule and that the client is satisfied. Note: While the ordering and creative schedule is in motion all products manufactured, produced and received will be waiting at a selected facility. When your project is ready for installation, the entire process is individually supervised from furniture placement to drapery installation, insuring that the work is of the highest quality.